Stollen breads are very popular at Christmas time in America. Commercially baked stollen breads are easy to find in most America grocery stores. I have tried these breads but never really liked them because they can often be dry and flavorless. 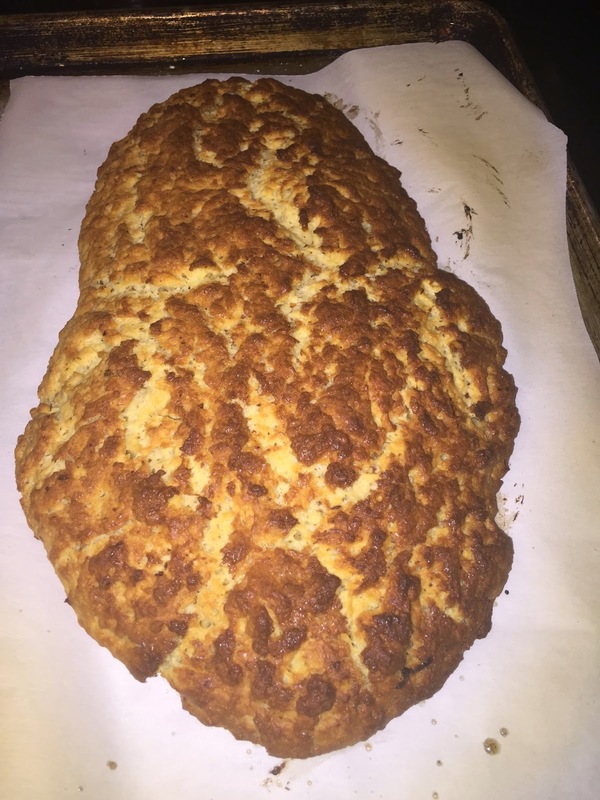 I decided to try to make one using an historic recipe to see if it would be better. And I found that, indeed, home baked stollen is so much lighter, richer, and flavorful than anything I have ever bought in a store. A stollen is a sweet bread associated with Germany (particularly the city of Dresden). The word "stollen" supposedly comes from an old German word "stollo" which means support or post. The bread is now associated with the sacred Christmas holiday because it is shaped in the form of the Christ child wrapped in swaddling clothes. 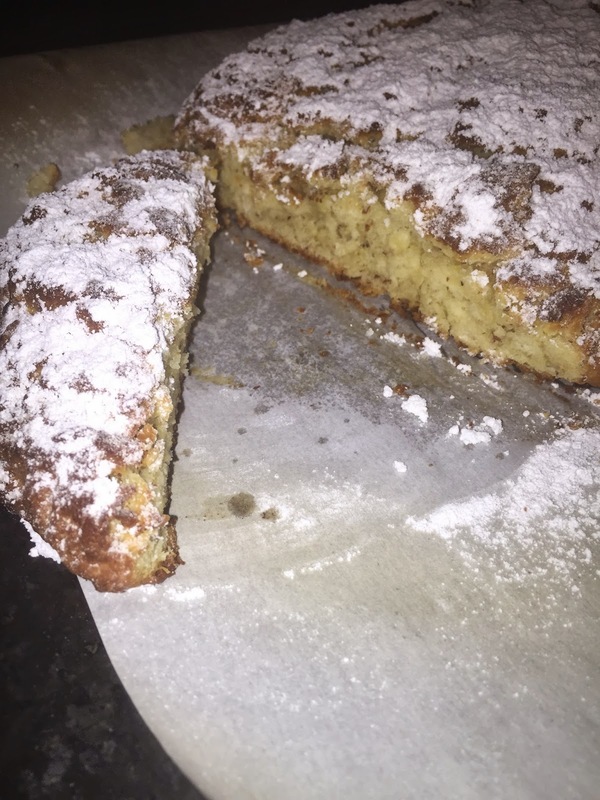 Click here to read more about the history of stollen breads. Source: Aunt Babette's" Cook Book: Foreign and domestic receipts for the household: A vaulable collection of receipts and hints for the housewife, many of which are not to be found elsewhere. By "Aunt Babette", Cincinnati: Block Pub. and Print Co., 1889. 1. 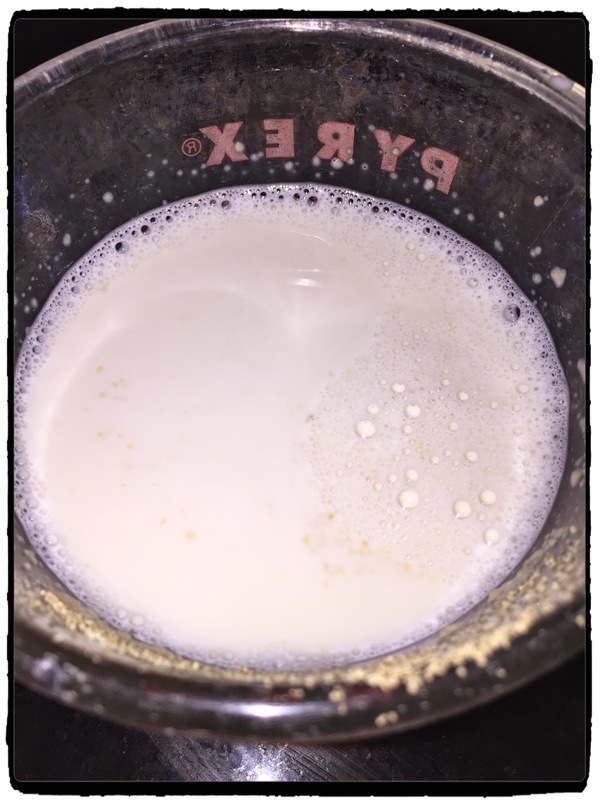 In a small bowl or measuring cup, mix together the warm milk and the yeast. Whisk and set aside for 5 minutes, or until bubbles gather on the top of the milk. 2. In a medium bowl, whisk together the flour, salt, and sugar. Add the milk/yeast mixture. Using a butter knife, mix together all of the ingredients until they start to come together. Then, use your clean hands to finish shaping the dough into a ball. 3. Place the dough ball in a large, greased bowl and cover. Set the bowl in a warm spot (if you have a warming burner on your stovetop, you can set it on the low setting). Let it rise until double in size. 4. 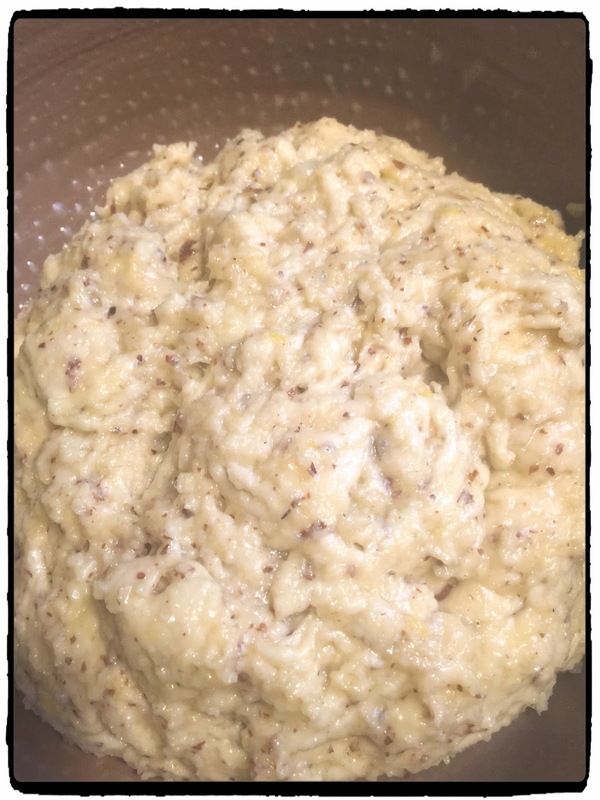 Add the remaining sugar, softened butter, egg yolks, almond meal, grated lemon peel, and raisins (optional) to the risen dough. Mix all together using your hands. Punch the dough rather than knead it to incorporate all of these ingredients as much as you can. 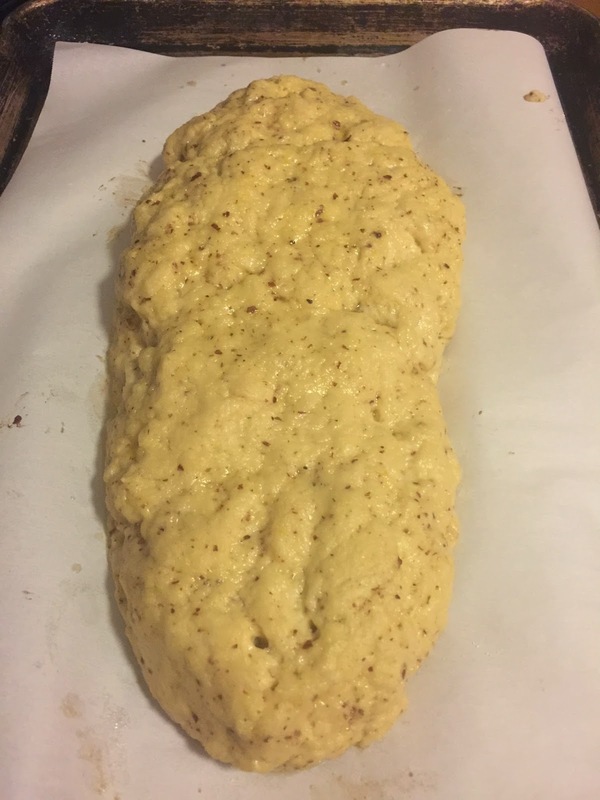 The dough will be moist and sticky. 5. Time to Rise Again: Place the dough ball in a large, greased bowl and cover. Set the bowl in a warm spot (if you have a warming burner on your stovetop, you can set it on the low setting). Let it rise for two hours. 6. Heat the oven to 375º F and line a baking sheet with parchment paper. Dust your hands and the lined baking sheet with a little flour. Place the dough on the pan and shape into a loaf that has narrow tapered ends. Brush the top of the loaf with the melted butter. 7. Place in the oven and bake for 30 minutes, or until golden brown on top. 8. Remove from oven and slide off cookie sheet. Immediately dust with confectioner's sugar. 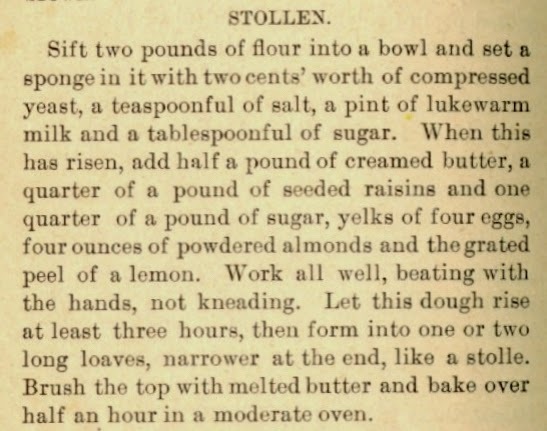 The 1889 recipe does not say to do this, but all stollen breads are coated with sugar. Lots of historic recipes just assume you know what to do, so I did it! Cool for 10-15 minutes before slicing. 9. This bread is not super sweet; therefore, you can serve it with butter, honey, and/or jam.